When The Evening Standard's famously forthright Jack Massarik first heard Get the Blessing, he was so struck by Jake McMurchie's forceful, thoughtful, musical playing that he declared in his subsequent review 'Where's he been?' We might now add 'What took you so long Jake?' Aether Drift is the Bristol based saxophonist's first release under his own name in a playing career of over twenty years. It's a very personal, idiosyncratic set revealing passions and creative impulses with a mature and sharp focus. The trio, with Will Harris on bass and Mark Whitlam on drums, take their name and half the song title's from an arcane nook of 19th century physics that laid the foundations for Einstein's celebrated theory of special relativity. The music develops from repeating sections and phrases creating a variety of moods. The reference to minimalism is overt and the comparison is invited in the publicity. But it's minimalism on steroids with huge dollops of collective improvisation, electronic atmospherics and some irresistibly catchy melodic phrases. Rice Rage launches straight in with throaty sax riff, a throbbing pulse battered out on the toms and the bass locked in. If that sounds like a Get the Blessing opener, it wouldn't be out of place, especially as a back beat kicks in behind an electronic howl as the the rage reaches a climax but it's soon clear it's a point of departure. 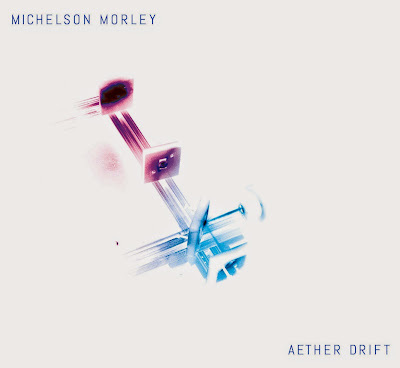 Aether Drift is all ghostly echoes and atmospherics before one of those delicious melodies emerges over a gently rolling groove that evolves into an extended keening solo. Cross-Stream Roundtrip Time mines a snappy, cyclical pattern to destruction, evolving gradually into an intense scream like intensity. Your Eyebrows Look Good with Your Face by contrast introduces one joyful melodic phrase after another over an exuberant springy pulse with delightful little pauses in between to let the idea sink in before Jake launches into a fluent exploratory solo. The sax's voice is in the foreground throughout, but Will Harris and Mark Whitlam are equal partners in this venture. Mark Whitlam's drumming is rarely intrusive and quite low in the mix, but is constantly adding texture and propulsion, a perfect complement to Will Harris' just so lines and rhythmic energy. There's an organic feel to the collective sound, recorded live including all the electronic effects. Their joint, extended explorations make for compelling listening. This is a supremely confident debut and more is promised with guitarist Dan Messore joining them for a tour, having met them just as they finished this recording.